Atalanta coach Gian Piero Gasperini hopes that Juventus star Cristiano Ronaldo will be a part of the Bianconeri team that will go up against his Atalanta side in a Serie A clash later tonight. 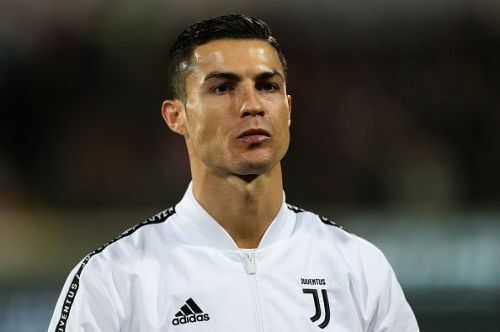 Since his shocking move to Serie A giants Juventus, Portuguese ace Ronaldo has played all 90 minutes in each of the club's Serie A games so far this season. Consequently, manager Massimiliano Allegri had recently informed that he would finally be giving the former Real Madrid star a rest after his appearance in the Derby della Mole against Torino last week. Amid reports of Ronaldo's little break, Gasperini has expressed his hope of seeing the Juventus star in the squad that will face Atalanta tonight, despite knowing that he will pose as a danger to his side. According to Calciomercato, the manager said, "I hope he [Ronaldo] is on the pitch tomorrow because it is a unique attraction for the public. Technically he is a danger for us but Juventus has many other great players to replace him." "Juventus are breaking all the records, 16 wins out of 17 and a draw, we will try to stop them to celebrate Christmas with our fans. We will be without three fundamental players but you need to face the team which is top of the table at your best. "Boxing Day? It is the first time in Italy we play on this day. We hope it will be useful to see children and families at the stadium so that they can celebrate with us. We expect an exceptional audience and a full stadium, we will do everything to honour the commitment. The jerseys from the match will go to the auction for a charitable purpose." Allegri has already announced the players called up for tonight's game, with Ronaldo notably present on the list. The Serie A table-toppers will lock horns with Atalanta tonight at 7.30 PM (IST).